Los Angeles, Calif. – The Greater Los Angeles County Vector Control District (GLACVCD) cautions Santa Clarita Valley residents to take extra precautions against West Nile virus (WNV) now to reduce the threat as the summer progresses. Early-season indications predict the Valley may see increased activity this year. This past week, GLACVCD confirmed additional WNV-positive mosquito samples from Granada Hills and West Hills, and WNV-positive crows were collected from the cities of Santa Clarita and Valencia. “The majority of West Nile virus activity detected this spring has been from the Santa Clarita Valley” reports Susanne Kluh, the District’s director of scientific technical services. “We need residents in the Valley to step up and help us reduce the risk of disease transmission,” added Kluh. Improperly maintained swimming or wading pools can breed thousands of mosquitoes per day. Ponds, fountains, rain barrels, and other containers will contribute large numbers of mosquitoes to a neighborhood, and directly increase the risk of WNV transmission to people through the summer. Higher temperatures speed up both the mosquito life cycle and replication of the virus in mosquitoes and wild birds. The time to take action is NOW. Eliminate all standing water sources from properties, and report mosquito problems, inoperable swimming pools/ponds to the District promptly. 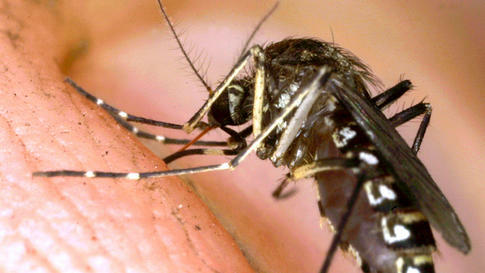 To date,the GLACVCD has confirmed West Nile virus in nine mosquito samples and 10 dead birds.